Tweet I'm always on the lookout for good tutorials that demonstrate how to create artwork from scratch in Photoshop. Given I teach a range of abilities, it's nice to find tutorials that look difficult, but are actually fairly simple, as long as you have a grasp of the basics. 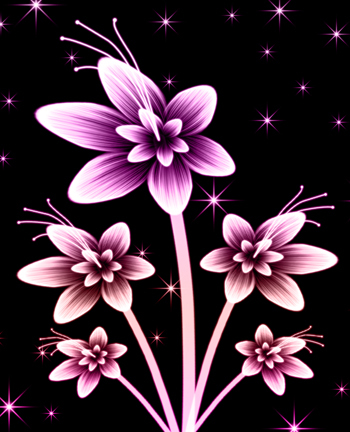 The below flowers piece was created with the wind stylization filter, the warp, distort and perspective functions within the Transform menu, and the Pen Tool. You can find the whole tutorial here, and if you've got a spare 10-20 minutes, it's well worth a go.